Lipsticks have been my vice lately. Particularly hydrating lipsticks and since the weather has gotten drier I've been wearing a lot of lip balm so I figured lets give the popular Luscious Super Moisturizing lipstick a try. 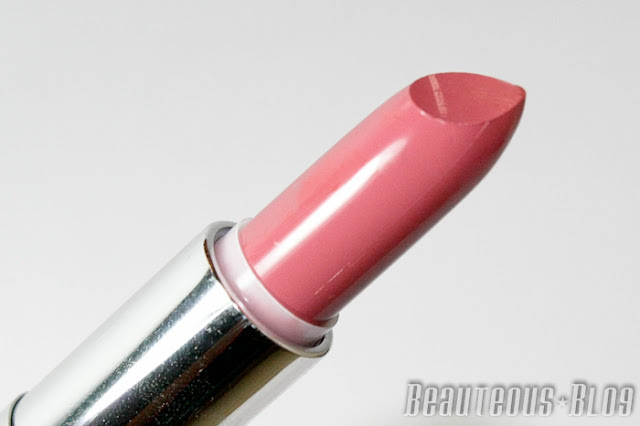 I bought the shade Daisy Pink because I was looking for a very wearable rosy pink shade. The color is almost Your Lips But Better but it's slightly on the pale side for my pigmented lips. 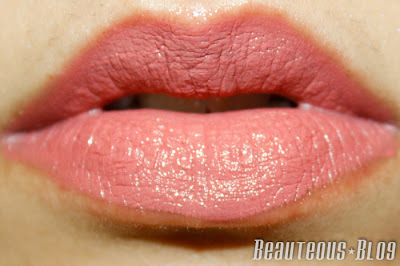 Never the less the color is super pretty for daily wear and of course it hydrates very nicely on the lips. The packaging of Luscious's products are always spot on, the lipstick comes in an sturdy silver packaging that's easy to travel with and its just a little bit smaller then their Signature lipstick. The formula is very creamy and feels like a lip balm if not more emollient As much as I prefer the feeling of a lightweight smooth lipstick, this didn't work that well for me. The lipstick feathers out from my lips if I apply more than a couple of layers. The lipstick just slips off which bothers me after I eat or drink because it feels like the lipstick is all over the place. It doesn't cling to my lips as a lipstick should. The wear time is about an hour for me, 2 hours max. If I eat or drink it'll practically disappear. I'm not sure how the darker shades wear compared to this lighter color. Whenever I do wear it I apply a thin layer just to hydrate my lips and it does a fairly good job of keeping them moist. Oh I had this in the older packaging! Loved it, and it lasted well on my lips too. May e they've changed the formula? it could be the formula change! I never tried the one in the older packaging. I've never tried their lipsticks, but then I think they are only available in Pakistan- maybe next time I am visiting I will try to pick it up! beautiful shade & great rev..